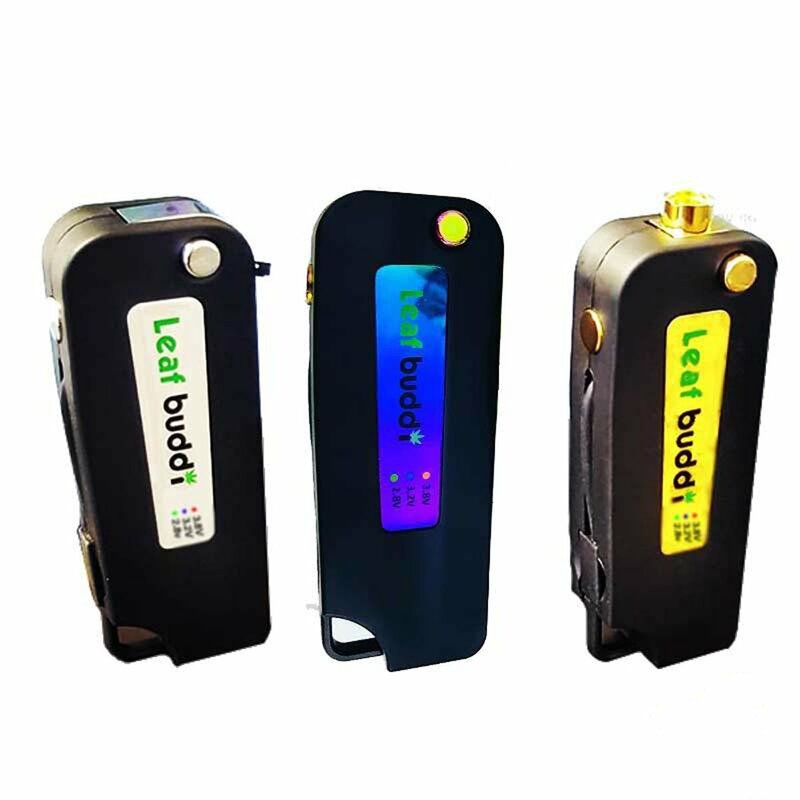 A tank/cartridge can be screwed into the 510 thread on the Leaf Buddi V Pro and can be folded downward to make the device more compact and portable. It has a built-in USB plug that sits flush with the body of the battery. The charger can be pulled out whenever it needs to be charged and tucked away when finished. This device is a 350mAh battery and is perfect for those who are on-the-go and want a convenient device that they can carry on a keychain.